That may seem like a lot to handle in one article, but I distilled down all I’ve found into a basic set of requirements for you to keep in mind next time you write a cold email. Why we need to think about it? Looking at ways countries regulate email sending, there’s a strong tendency to protect the personal information of their citizens. As you may remember, the EU started to talk about increasing data protection, because their citizens voiced concerns about their privacy. Look at cold email outreach. We use cold email to contact companies we haven’t contacted before. We don’t know them in person. We haven’t interacted with them before. We just assume they would be a good customer, based on some assumptions we’ve made on who our ICP is. We don’t have any bad intentions. We just want to talk to them. Now, let’s switch perspective. I’m sure you’ve gotten a few cold emails in your career. And one of them might have seemed ill-targeted for you. You weren’t quite sure why you got it. You didn’t feel much like responding. So you just left the sender hanging. What if I told you that by respecting the basic requirements of sending cold emails, you could actually have a winning cold email strategy? Here is what you should pay attention to in order to design such a strategy. There are 6 basic requirements I discovered by looking at policies around the world. According to the CAN-SPAM Act that is binding in the USA, you’re not obliged to collect consent, but you should give an option to opt out from getting your emails. The same goes for GDPR. When you send a cold email to the EU member state, you need to give a clear way to opt out. In Canada, Germany, Norway, Switzerland, and Australia, an unsubscribe should also be included in your message. When writing an email copy, let the message receivers know how they can unsubscribe from your email sequence. Whether you put it in a form of a link or put a disclaimer inside the email, you need to do this to show that you are trustworthy and knowledgeable about the law. Since you reach out to a stranger, introduce yourself. That should be a no-brainer even without the legislation that stands behind it. Your prospects should identify you — at least, that’s how the China lawmakers see it. You need to let your prospect know who you are when you send email to Switzerland, Norway, New Zealand, Australia, Canada, and the USA, too. Basically, it’s a given in the most regulations I’ve seen. In 6 steps to perfecting cold email copy, you’ve read that your signature is an essential cold email part that tells your addressee who you are. Use it to comply with the law. Put all the necessary pieces of information there that help a prospect to identify you. So your name, company name, and much more are the bits of info you should consider adding. Read our guide to a signature to learn how to do it. Some legislations define even more technical aspects of email sending when it comes to the sender identification. The headers of the commercial email, which indicate the source, destination, and routing information, must not contain materially false or materially misleading information. You can only contact people when you have a strong reason to reach out to them. One of such reasons is that there’s a legal ground for it — your business statute is clearly connected to theirs. That what is advocated by GDPR in a form of legitimate interest or consent collection. The other regulations require consent. Some of the regulations I dug out stated that you need consent before you can email anyone. Even though cold email isn’t a promotional offer. Collecting prospect’s consent is obligatory in Canada, China, and Norway. When it comes to Germany – you need double consent. 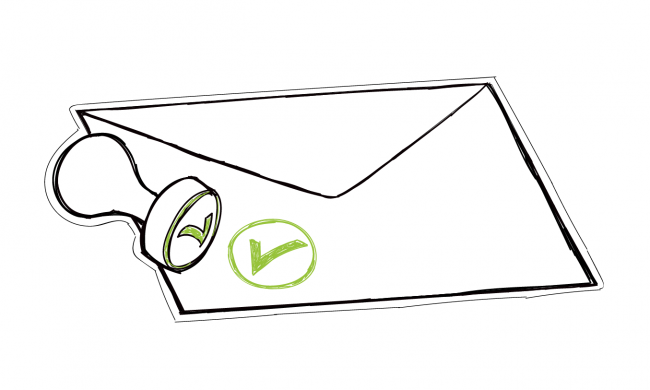 How to collect consent for email outreach? A nice strategy to contact people in those countries may be using inbound + outbound strategy. For example, creating a webinar and then firing an outreach campaign once it ends. Of course, you would contact only the people who gave you their consent for being contacted. Sometimes you’re expected to inform prospects about the type of your message. You need to be clear about the nature of your message, so you and the recipient are on the same page. That’s understandable. If your message is for commercial purposes, you’re required to put that in your email copy. Subject lines are like keys that open your messages. They are the very things that catch your prospect attention and make them click on your email. You may feel tempted to put something attention-grabbing in your subject line to make it irresistible to open. Beware of clickbait, though. It may get you into trouble in the USA and Germany. If you use a subject line that doesn’t correspond to the rest of your email, you may get penalized. Same goes for the “From:” line. Where can I learn more about the law? What can I get from all this? I have the following piece of advice for you. Next time you sit to prepare your cold email campaign, make room for the rules above. This may seem like another uninteresting thing to have on your mind, but trust me, it’s better to be safe than sorry. And if you look on the headers, they don’t seem to be too much. If you’re going to target a new country for you, and you don’t know their regulations, it’s better to google that country’s data protection law. We covered GDPR and California privacy act for you. And above you can find links to other regulations. Product Manager and Data Protection Officer at Woodpecker. A lawyer who gets the SaaS business, understands customers' needs, and speaks the language of IT guys.